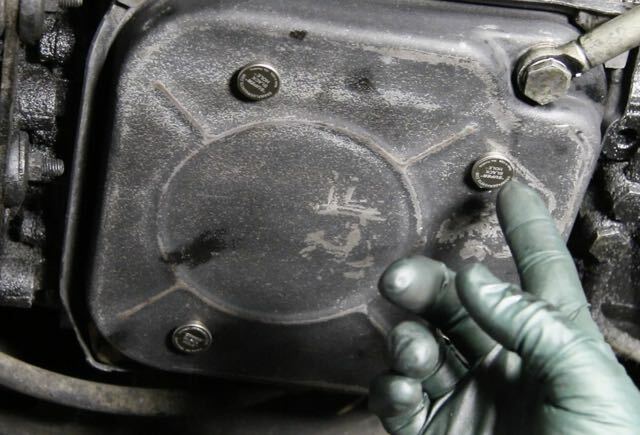 When you go to change the transmission fluid and filter, you will find any ferrous metal particles collected right around the magnet on the OTHER SIDE (inside) the pan. These magnets not only protect your transmission, but what they collect around them gives you a real handle on your transmissions internal condition. We also carry super strength magnetic drain plugs for engines and rear ends. FITS THE FOLLOWING: 114 and 115 chassis 1969-1976. Includes illustrated PDF Instructions on replacement. Includes both a new filter and pan gasket to do complete service on your transmission. Early 123 NON Turbo Models only! Fits 123 chassis Non Turbo 1977-1981 300D, 300CD, 1979-1980 300TD wagon and 1977-1983 240D ONLY. Includes illustrated PDF instructions on replacement. Includes both a new filter and pan gasket to do complete service on your transmission.